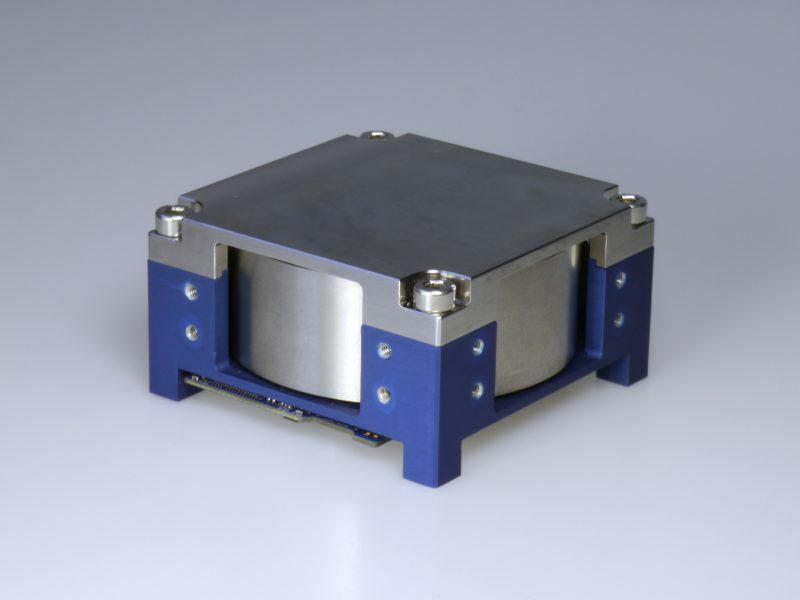 The RW400 series reaction wheel is aimed at applications in 6 to 12 U CubeSats or similar platforms. It comes in three models that offer 15, 30 or 50 mN.m.s of angular momentum storage respectively in both directions. Up to 12 mN.m of torque allow for rapid slewing operations with small satellites. The small envelope of 50 x 50 x 27 mm includes a dedicated controller, offering simple fire-and-forget control to the user.